The Musicales de Compesières open their ninth concert season. 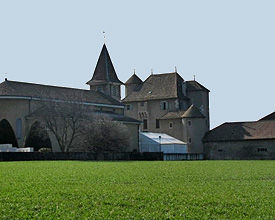 Bring in the countryside, desconcerts top flight, with talented artists in this high place of the site of what patrimoinegenevois Compesières is our challenge. For 8 years of age now, we present both internationally renowned soloists, that young talent early in their careers, all among the best musicians of our time. Since last season, the Musicales de Compesières welcome residency training young orchestral works wonders not only Compesières but far and wide. 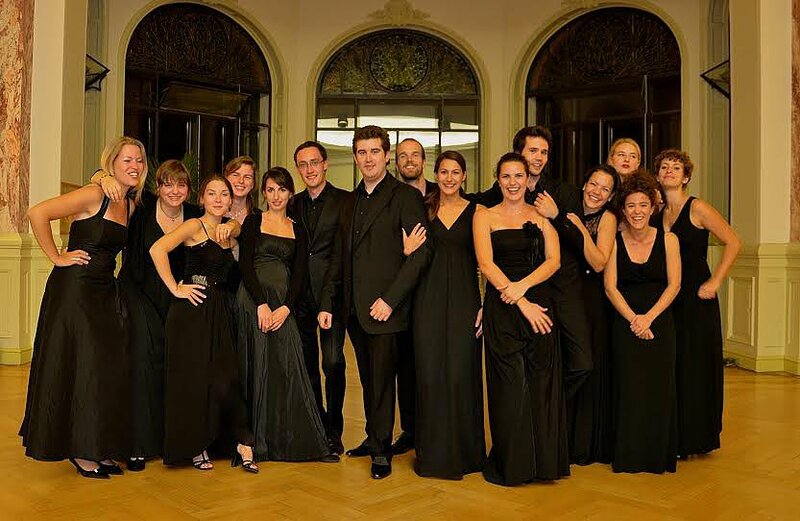 This is the Camerata of Lake Geneva, training young professionals (20 to 30 years), from the Conservatory of Geneva. All these young people have a mad desire to share their love of music and talent to a wide audience. The Musicales de Compesières offer them a place to regularly hear and the quality of their services became known far beyond Compesières. The public is becoming more and more concerts structures now want to program them in their artistic seasons. This season, concert Compesières going on tour at the Esplanade du Lac in Divonne and Franche-Comté Musical Salon will host the Belfort in Lons le Saunier. They are young, they are beautiful and their virtuosity and musicality after their bows, they take the audience in their enthusiasm and their musical momentum. The first season has passed and we can only rejoice in having them for three years with us. The other by the partnership we have with Thursdays Piano is confirmed with the young Charlotte Coulaud winner 2014-2015, who will interpret Mozart Concerto with the Camerata of Lake Geneva. In the soloists, we will have the chance to welcome the Barcarolle duet November, two young pianists who sing piano 4 hands as one interpreter puist we will host in March Rachel Kolly d’Alba and Christian Chamorel Our Swiss youth who are currently undergoing lumièreles, then in May the Ministrings, this group of young musicians aspiring Conservatory of Lausanne, that excite the public to everyone as they pass by their professionalism despite their age, their joy live and play, and and freshness. As for the oratorio concerts, we have the chance to receive first, Vocal Ensemble of Ain with Fauré’s Requiem conducted by Eric Reynaud, then, the Soloists of Lyon with the famous chef Bernard Tetu in Stabat Mater by Dvorak, and to finish the season, the Upper Valais Children’s Choir, the Ensemble led by Hansruedi Cantiamo Kaempfen. Camerata Lake Geneva is a formation with variable geometry, formed by 15 basis musicians. These young professional musicians, aged 19 to 29 are all from the best conservatories superiors Lake Geneva (hence their name). This training born in 2012 has already made a very promising start to the (A St Prex in CCRM, Chapel of the Oratory Festival Sermoneta, etc.) and dreams of participating in this residence of the Musical Compesières. Just like all the musicians of the Camerata of Geneva, this orchestral has the freshness of youth. As all these young soloists for which I fight all the time, these young musicians freshly Conservatories, their professional diplomas in hand, must get into the flow of life musicians. For them, it is often difficult to become known. For us to give them the opportunity to be not only know but also recognized by the public and the music world. Talent, energy and passion to play, fire of youth, freshness, sparkling character but also flexibility, humility, desire to put entirely at the service of music … All these adjectives like them. To us “Musicales Compesières” magnify all these qualities by giving the floor regularly, either alone Camerata of Geneva or in accompanying guest soloists, so that the public and the actors close to this musical season appropriated these personalities rich and captivating, and the musicians of great talent and links are forged among all. This partnership with the Camerata of Geneva would be over three seasons (2014-2015 / 2015-2016 / 2016-2017) and could be renewed in time.